IT’S THE BEACH THIS TIME! After a fantabulous time from last year’s Retreat which we hosted at the naturally beautiful Kin Tick Orchard Resort (above), this year we decided a switch back to the sea / beach might be interesting. 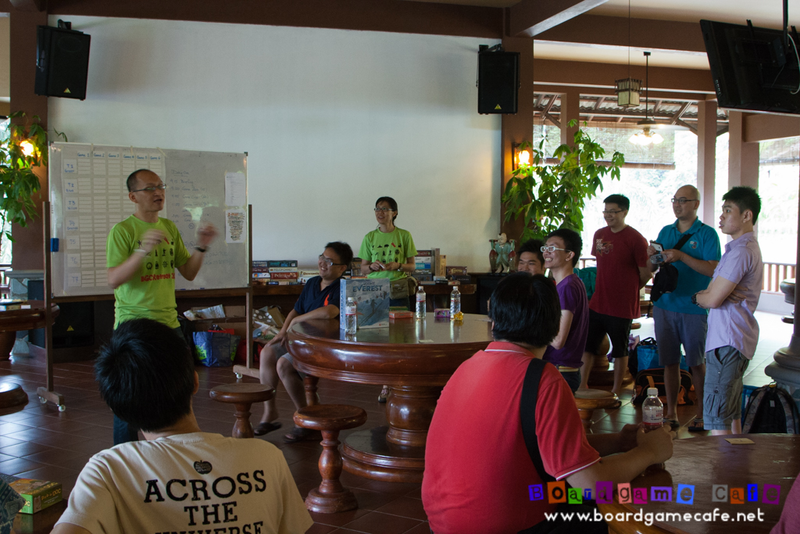 The last time we did our Retreat at the sea was the BGC Retreat 2011 held at Port Dickson. 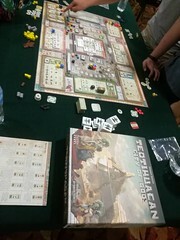 THE BEST OF ESSEN SPIEL 2014? We introduced a change to last year’s event. 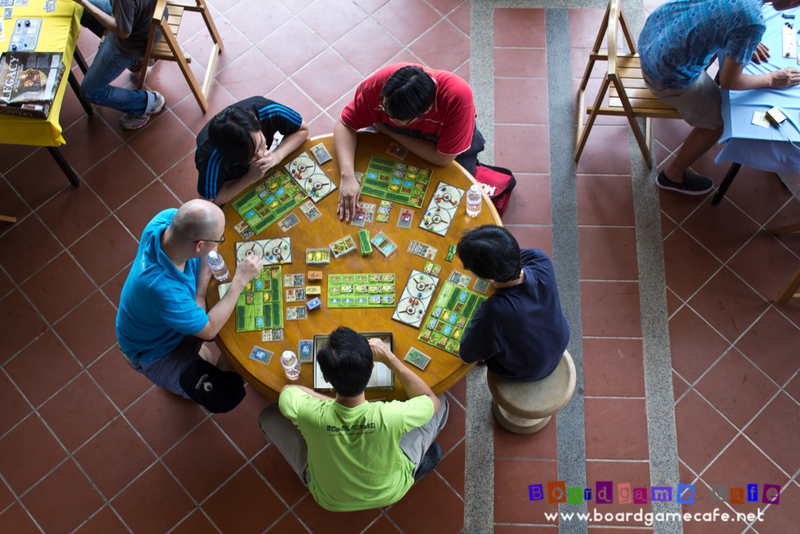 In the past Retreats, we tend to pick a mix of recent & classic games to be played. Last year, we thought of experimenting with hosting the Retreat a month after Essen Spiel so that we can use the Retreat as a platform to introduce a selected pick of the Spiel games to our Retreat attendees. 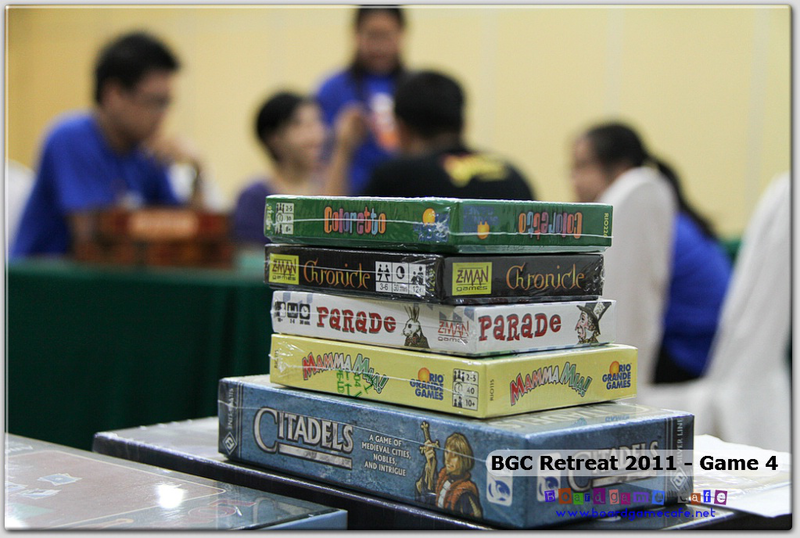 This year we’ll be continuing with that approach and our BGC Retreat 2014 is again set a month after Essen Spiel this year. Looking at the Essen 2014 games we’ve brought back, we reckon this is going to be yet another SMASHING weekend for the Retreat gamers! To get an idea of some of the games you may be able to play in this year’s Retreat, check out CK and Kaz’s Essen loot geeklists (here for CK and here for Kaz). 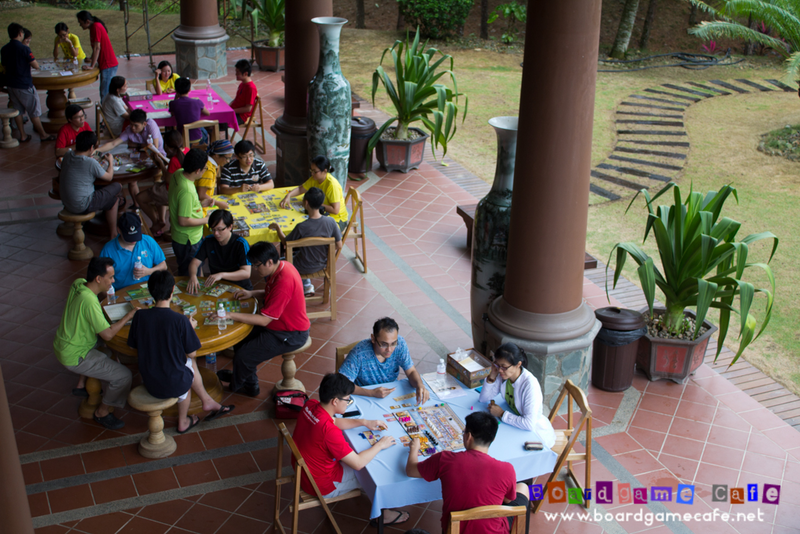 An offsite retreat over the weekend devoted primarily for like-minded boardgamers like yourself to gather and enjoy each other’s company over almost two days of intense boardgaming (of the good type)! 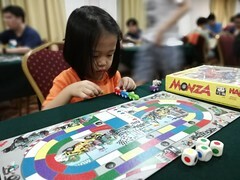 We usually start early on Sat 9 am sharp and play till 6 pm. There’ll be two tea breaks and one lunch break in-between for Sat. After 6 pm, we refresh and have dinner. It’s free time after dinner but most of us would gather for the much anticipated After-8 session (see below). On Sunday, we resume at 9 am and close the event around 4:00 pm. We are now planning our Retreat to be 6 weeks after Essen. This is to ensure we’ve the new Essen Spiel games for you to play in the Retreat weekend. For this year, the Retreat weekend is Dec 6th (Sat) & 7th (Sun). 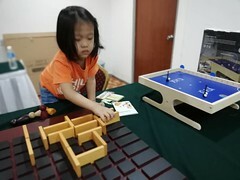 The Retreat has always been hosted at someplace close by – or at least no longer than 1.5 hrs away by car – to minimize travel time and maximize playing time! We’ve done this at Genting (2010), Port Dickson (2011) and Kin Tick Bukit Tinggi (2013) and this year we are revisting the beach & sea at Port Dickson (not the same resort as 2011). Who is this Retreat suitable for? 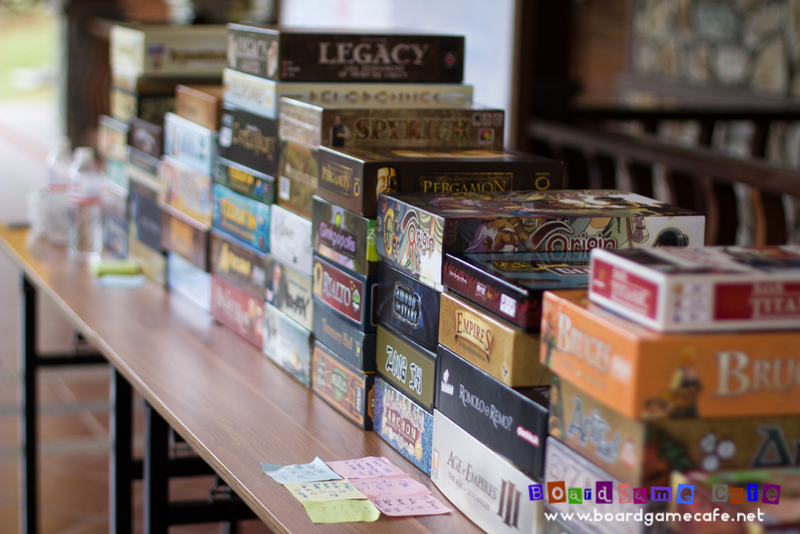 Our Retreat Persona is someone who loves boardgames – not the Monopoly or Risks but those games by designers like Stefan Feld, Uwe Rosenberg, and Ignacy among others. 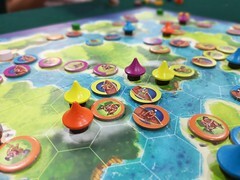 You are more than a social or casual gamers – ie while you may love to play Jungle Speed, it’s games like Castles of Burgundy or Troyes that scratch your itch. 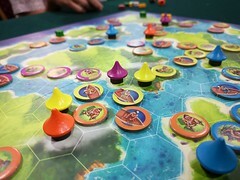 While you do not necessarily have to love Terra Mystica or Russian Railroads, it would be helpful if you do since we expect our Retreat participants to be able to sit thru a full 8-hours of almost non-stop gaming day (yes, you still get time to take food & bio breaks) and some of the game sessions may last up to 2 hrs per game. If you feel our Retreat Persona matches you (and have not made you click the Back button yet) and you are excited about trying out the latest Essen Spiel 2014 games with a bunch of friendly and at-times semi-competitive but always fun gamers, dun wait. Sign up now! Standard fees per person (quad sharing room, two queen size beds) is RM280 which includes all meals, accommodation, our special BGC Retreat t-shirt and a commemorative door gift direct from Essen! Getting yourself to/from the venue would be at your own cost and we suggest you to car-pool if possible. COST: RM280 per pax including retreat fee, accommodation, meals, t-shirt and Essen door gift. Exclude transport. Opportunity to win exclusive hot prizes from Essen! Finally to thank you for your support, all paying Retreat attendees will get to buy one game from our BGC webstore at 40% discount (from retail price)! 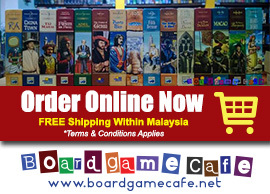 Click here to check the list of games we currently have in stock. T&C applies. Beside getting the chance to have an early playest of Essen 2014 releases, there’ll be spot prizes and podium prizes at the end of the Retreat. 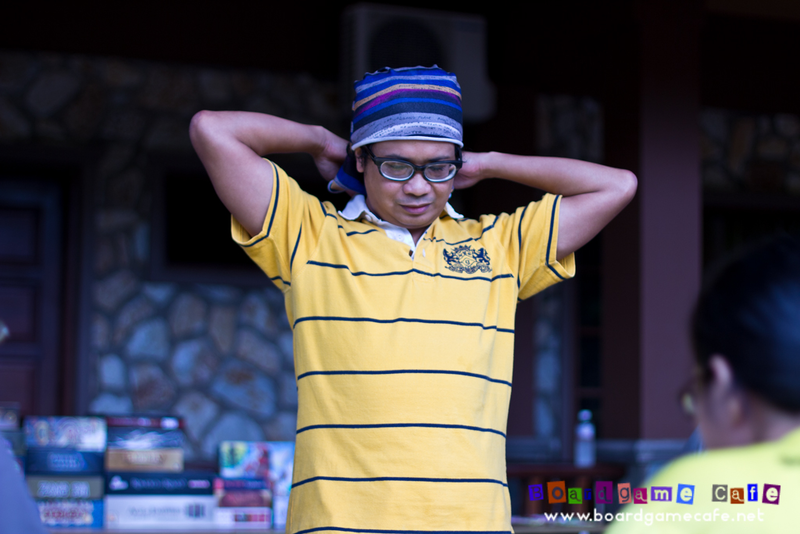 Our BGC Retreats are infamous for its After-8 Gaming, which is known to be the “real” deal after a full day of gaming! 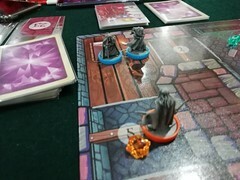 After-8 Gaming is an open gaming session held after dinner where we will bring to the table games that are of longer duration (epic games), out-of-print games and/or those with higher level of complexity. After-8 gaming is self-organized and we’ll leave it to the attendees to decide among themselves what’s going to hit the tables. It’s also an optional event as some attendees may prefer to have an early night or spend the time on their own. To sign-up for this Retreat, please visit our Facebook Event page (link here) or shout your reply in our forum (here). You’ll need to place a Rm140 non-refundable deposit to confirm your seat. Seats will be reserved on a first-come first-served basis subject to receipt of your deposit, and we’ll close the registration once we hit our numbers. Check out the Frequently Asked Questions for our BGC Retreat.